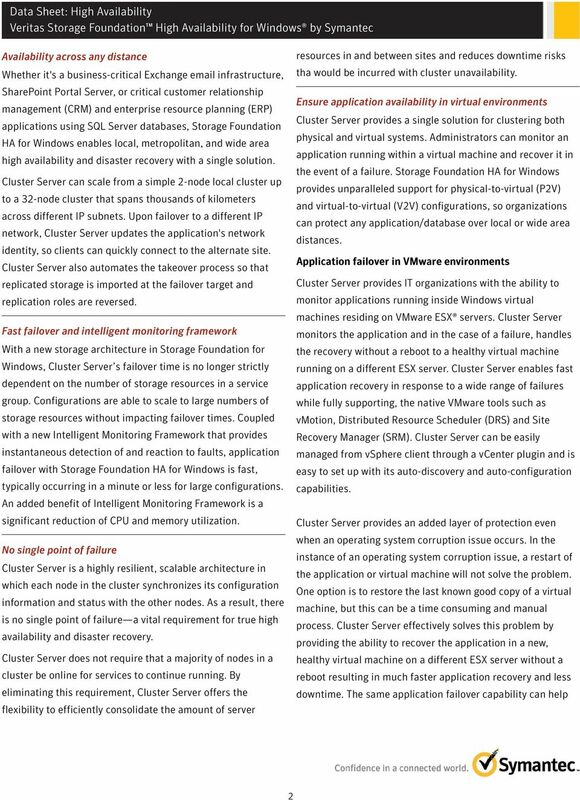 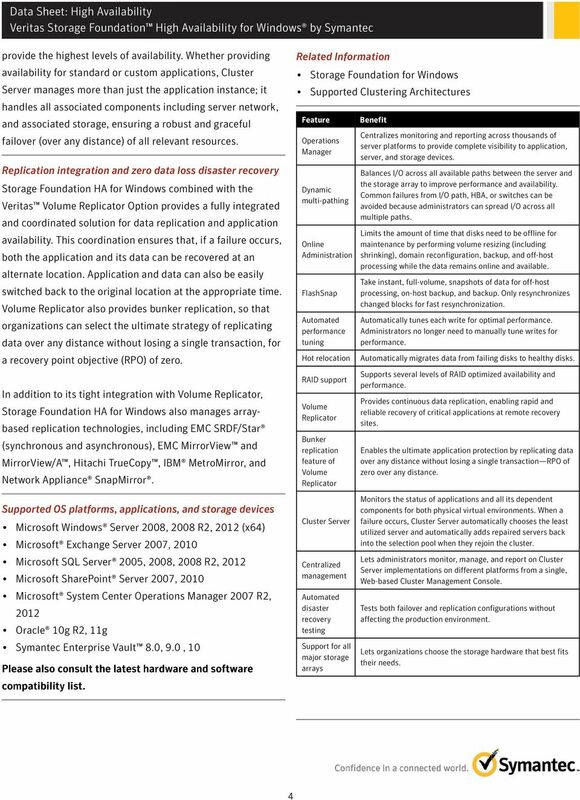 Download "Veritas Storage Foundation High Availability for Windows by Symantec"
VERITAS Edition for Microsoft Exchange 2000 Proactive Management and Quick Recovery for Exchange Storage The VERITAS Enterprise Administrator GUI enables centralized, cross-platform storage management. 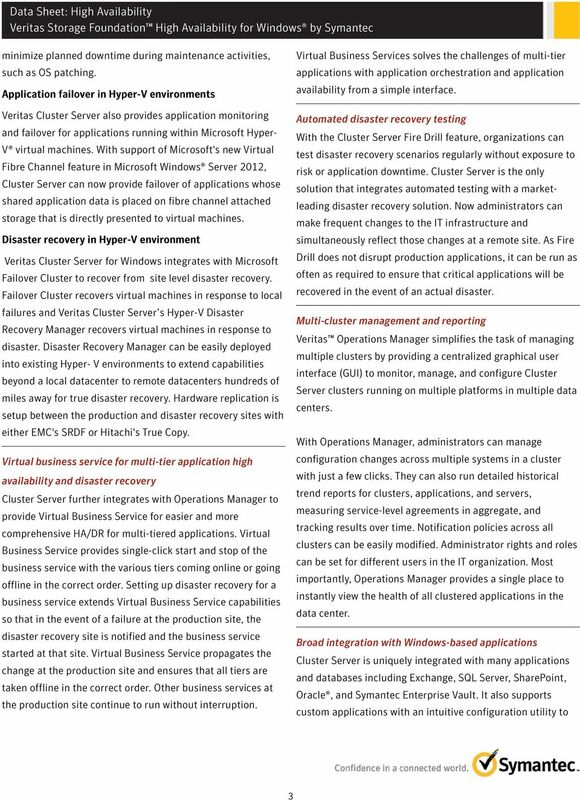 Top Ten Private Cloud Risks Potential downtime and data loss causes Introduction: Risk sources Enterprises routinely build Disaster Recovery and High Availability measures into their private cloud environments. 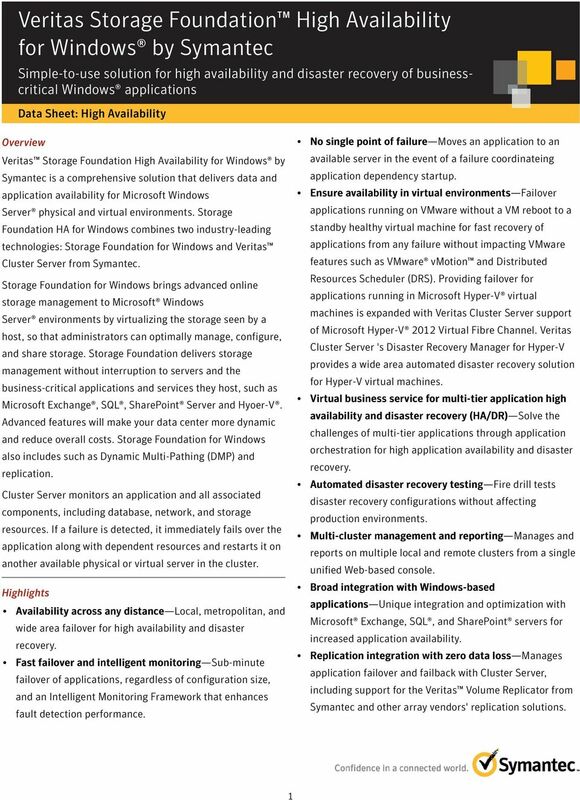 SYMANTEC NETBACKUP APPLIANCE FAMILY OVERVIEW BROCHURE. 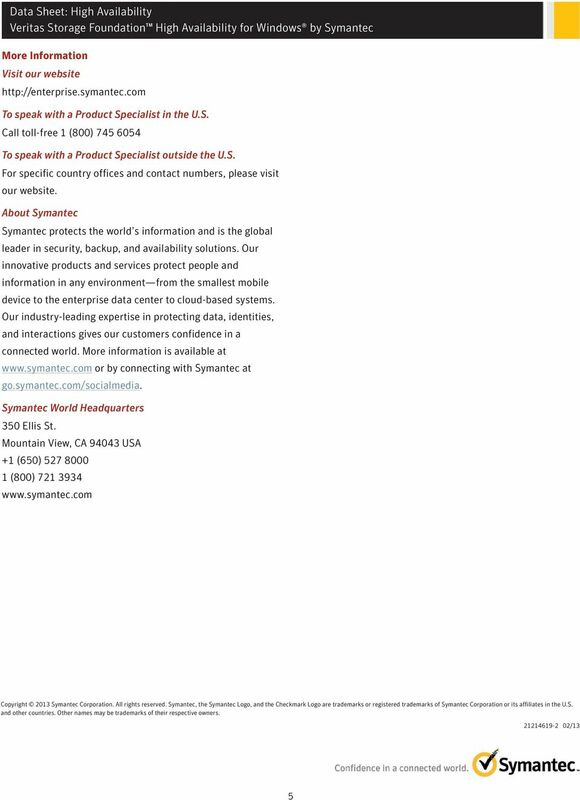 When you can do it simply, you can do it all.